High efficiency, outstanding quality, amazing design and technology! We have learnt how to understand fire, to control it better, to master it! 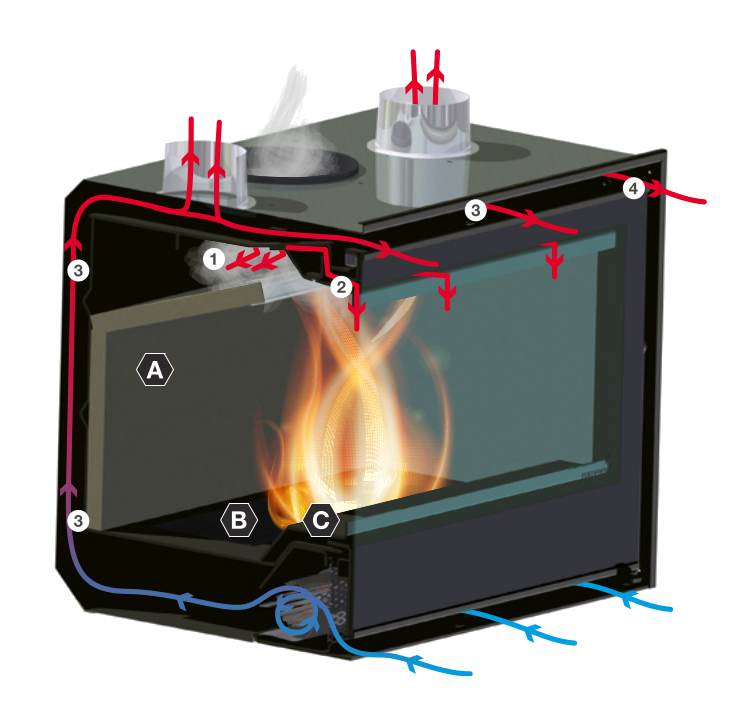 FLAMEBOX stoves are engineered to be extremely efficient and clean. Developed in order to present outstanding quality without sacrificing design or functionality, our high-tech stoves are built to give you an impressive flame control! All our stoves feature the Clean Burning System. This system injects preheated air to the combustion at the upper part of the equipment, in order to burn the hydrocarbons existent on smoke, reducing emissions dramatically and extending heat output. This feature generates air flow on the inner side of the ceramic glass, keeping it clean longer. Most of the heat produced by our stoves is transmitted through convection, since they have a special sealing chamber for the hot circulating air. This system accompanied by two powerful yet silent, tangential fans, increase quickly hot air diffusion into the room. Stoves equipped with this feature allow you to direct the hot air outflow to other rooms, if the top outlets are used.